Gary Wright recently released his follow-up to 1999's Human Love album. Well, two follow-ups, in fact -- The Light Of A Million Suns EP (a 4-track set that includes one re-recording) and, the 6-track instrumental set, Waiting To Catch The Light. Let's take a closer look at Wright's new EP. The Light Of A Million Suns opens with the explosive hip-hop/soul flavored re-imagining of Wright's 1976 hit, "Love Is Alive," with son Dorian Wright. The song is an absolute gem. I'm not saying the other songs don't hold up. The subtle use of steel drum and pan flute add an island atmosphere to "Little One" yet it retains lyrical depth in dealing with a cycle of isolation. Wright showcases another level of his vocal talents on the energetic and driving "This Heart Might Break Tonight." The Light Of A Million Suns closes with the emotionally aspirant "Hold On." The stark opening, keyboard solo, lush orchestration and anthemic chorus make this very memorable track. The new version of "Love Is Alive" is a terrific launchpad for Dorian and would alone be well worth the price of purchasing the album. 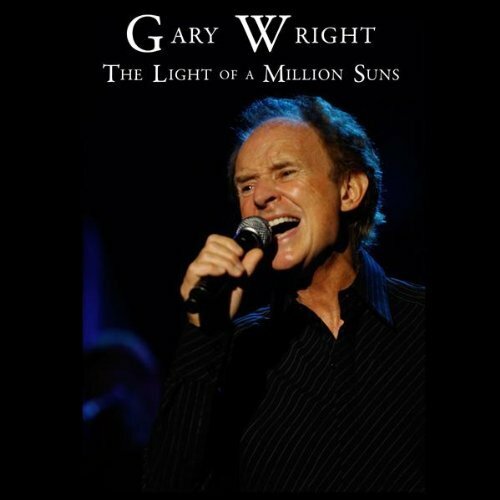 The only questions that Gary Wright's Light Of A Million Suns leaves me with is: "Why doesn't everyone have this in their collection yet?"